Hello reader! If you have been a faithful follower throughout the times, you may have noticed some changes. We have switched from a faculty run blog to a student run blog. We are a group of motivated students with a minor in writing, working as writers and editors to contribute to this blog. We accept submissions from Stony Brook students, faculty, and staff. All old posts will still be available on the website. We will be seeing a lot more activity from our students! Please take a look at our FAQ or About Us for more information! Forte means standing tall and strong. It is an area in which you excel, succeed, shine, and triumph. Sometimes you can feel lost like a compass without a direction and finding your forte may seem out of reach. But, everyone can discover their calling, their destiny, the thing that makes them scream loud and proud. Everyone can find their forte. Your forte is what makes you feel strong. Your strengths make you feel strong. To find your strengths, think of when you have felt refreshed, revitalized, interested and victorious. At these moments, what were you pursuing? That is a clue to your strengths. When you feel stressed beyond belief, you may turn to your strengths. You want to achieve something you know you can do, so you turn to what makes you feel in command. What can you always run to when you want to feel good and strong? Skills that you are strong at are usually easily solvable to you and bring you happiness. What you excel at can be something you’ve always been good at. Our best skills start to show their prevalence during childhood and get honed down and refined as we grow. Time travel back and look at which skills teachers have always complimented you. What were you strong at when you were younger? Our skills don’t disappear, instead they become stronger with more usage. Don’t be scared to go back and look at skill sets that have always been a part of you. Skills you possessed in your youth likewise relate to what comes naturally to you. These skills come so seamlessly to us, we may believe they come easily to everyone else too. Surprisingly, your natural skills don’t come sans effort to others. What feels natural to you? As college students, figuring out our career forte seems like an impossible task. We can start smaller by asking what are the hard skills which you possess? Hard skills include public speaking, being friendly, computer programming, language proficiency; hard skills are abilities which were taught to you and are simple to quantify. Behind the hard abilities are soft skills or talents you possess. Examples of soft skills are precision, accuracy, flexibility, and leadership. It may be more obvious for us to point out our hard skills, but we can use these to come up with our soft skills. Soft skills can lead us in a more generalized direction which can be useful to figure out our career skills. For example, the hard skill of playing a musical instrument well equals the soft skills of focus and listening well. Jobs that require critical listening skills can include therapists, detectives and translators. One hard skill can lead to many diverging soft skills and careers that could be suitable for you. Personal fit is important. Finding your forte is important because being good at what you do is how you succeed. The most successful individuals in a career field are the ones with disproportionally the most impact. Happiness and fortes are heavily related. Things you love to do are things you are good at. You become good at what you like to do because you practice it often making you become even better at it. Take what you love and what you feel true to your element and make that your forte. Stand tall and strong and be proud of what you are good at. Declare your forte to the world. I have always admired those who started new projects without any fear – those who do not look at a new club to join, a new story to write, or even a new book to read as a daunting challenge intruding on their reality. I found that questions endlessly accompany the restless excitement and anxiety that come with immersing myself in a new task, a new story. What if I hate it and have wasted my time? What if I love it, and I can’t live up to the expectations that I have set up for myself in my own head? These nagging questions, though they sometimes return in the middle of a new venture, are almost overwhelming at the beginning. It is the intrigue and the unknowing allure of the unknown that both draws us into new projects and makes us wary of them. After breaking through this fear and beginning a project, however, something magical tends to happen: as you chug along, fear morphs into investment and involvement. The project is no longer hypothetical, and the progress you begin to make combats the fear of the unknown. Because it is no longer unknown. Whatever you’re making is there in front of you. You’ve made it—or at least started it—and when you get to the end, you think about how unsure you were in the beginning. You see your past self and laugh because the actual fear seems ridiculous, but you also understand that something worth making is something worth enticing the fear of failure. Maybe the next time I start feeling that fear again, I can try to pep talk myself out of it. I can remind myself that this thing I am embarking on is only kind of like a stem cell or choosing a salad dressing. In the end, it is not a stem cell. When a stem cell is given its path, it cannot reinvent itself as it develops like a story can. (Okay, yes, I can already hear the contradictions where this isn’t the case—cancer, genetics, disease—but let’s go with the flow here.) Stem cells don’t have editing or peer review for that matter! Starting a project is not choosing a salad dressing. It does not come pre-made. You are creating it for yourself, therefore giving you the power to change any part of it that you may dislike. Unlike that hint of ginger in the salad dressing you picked. As the kids say, “you gotta start somewhere.” So to future me: Chill out. You finished this, didn’t you? Cold air brushes against her face, sending her long brown hair twirling into the night sky. The stars were twinkling and lighting her path this night. Her footsteps made light footprints in the snow as she walked on this path. She was looking for something. For what she herself did not know. Something to save her. Something that could make her remember why she needed to stay. The cold air mingled with her breath and formed little white wisps of memories long ago. She wrapped her scarf closer to her neck. She did not want those memories haunting her. The night was too beautiful to be marred by such sadness. The snow continued to fall all around her, but she persisted. Determined to find a reason to stay, she trudged on. She refused to let herself think of all that had brought her to this point. But the snow started to come down heavily. It fell from the skies, pelting the ground around her. It came down so thick that she could no longer see ahead of her. She knew that the best course of action would be to go back to her room, but she obstinately defied nature. She came across a clearing in the path with logs arranged in a circle. There embers from a bonfire had long died out. Only the ashes remained. She took a seat on the log and wondered what a beautiful fire could have existed in the middle of the clearing. They would have been steady, licking the air with their ferocity but contained and mindful of the nature surrounding it. It was gone now. The snow fell and covered the pit. Snowflakes are unique, but each fire has its own dance as well. She wanted to feel the fire and the warmth of its presence. She fumbled in her pockets for a lighter and tried to light the fire. The snow had made it too wet to relight the ashes. Fruitlessly, she tried again and again. Click. Click. She threw the lighter and fell to her knees in the snow. Her shoulders kept pace with the heaving of her chest as she let her sorrows come crashing in waves. She sobbed for all that she had seen. She let the memories take her, and the tears came, refusing to stop. She let herself feel it all. She felt. The snow had begun to slow down. It twirled and pirouetted and gracefully fell in her hair, keeping her comfort. She was no longer numb. She found herself watching the snowflakes dance. She saw the beauty in the cold and let it fill her. Most of what we know about anything in life is molded and restricted by the barrier of our own perceptions and perspectives. This applies to life itself. Without knowing who you are, I can say with almost 100% certainty that you’ve spent your whole life on the ground just like me; so, when you and I think about the world and the life that occupies it, we tend to think of land-based life before we do marine life. This is in spite of the fact that Earth is mostly water and complex multicellular life evolved in the oceans before staging a terrestrial conquest. Even now – hundreds of millions of years after life made the transition from wet to dry – the oceans still have an influence on this open-system planet and the life on it that cannot be understated. This understanding of the relationship between ocean stability and land-based life, as well as human economies, is why recent news of decreasing fish populations is so worrying. The study at the center of this recent recession is the Science journal article “Impacts of historical warming on marine fisheries production,” and it has made splashes across the media and the marine sciences. The implications this study are global, as the authors implemented a dynamic population model to measure the effects of ocean temperature on 235 fish and invertebrate populations – representing 124 species and about 33% of the total global catch (Free, C.M., et al., 2019). When using this dynamic population model in tandem with a hindcast of maximum sustainable yields (also known as MSY, the upper recommended limit for fisheries to make a profit while conserving fish populations) from 1930-2010, Chris Free and his co-authors determined that there has been a 4.1% decrease in fish populations across eight decades. To put that into perspective, Free likens this to “1.4 million metric tons of fish,” as quoted in The New York Times article “The World is Losing Fish to Eat as Oceans Warm, Study Finds,” by Kendra Pierre-Louis. Considering that, as Pierre-Louis puts it, “fish make up 17 percent of the global population’s intake of animal protein, and as much as 70 percent for people living in some coastal and island countries,” (according to the UN’s Food and Agriculture Organization) and you can see why such a study would ring so many alarms — especially as human population is on the rise and all of these new people will need food based on sustainable sources (Food and Agriculture Organization (FAO) of the United Nations, 2016). Much anxiety has been expressed regarding the rising of the oceans and the consequences that it will have for coastal cities and island-nations; however, the world’s oceans are an incredibly complicated open-system in which numerous consequences arise from little things, such as slight changes in temperature or pH levels. According to Free et al., warmer oceans have a negative impact on many fish populations by stratifying populations toward the poles. These populations are stratifying for a number of reasons, and a chief one is that warmer oceans are causing a cascading effect on zooplankton, which in turn reduces the amount of larval fish that will survive and mature. Some of the kinds of fish most affected by the warming of the oceans include codfishes and herring, as the stratifying trends observed by Free et al. often fall within taxonomical lines – that is to say, fish in the same genus, family, order, etc. Free et al. also cites overfishing as having a magnification effect on those ecoregions already suffering losses in fish populations. Additionally, the warming of the oceans will lead to less oxygen being available to marine life, as warmer seawater does not allow for as much oxygen concentration as cooler seawater does (Keeling, R.E., Körtzinger, A., & Gruber, N., 2010). Free et al. mention that some ecoregions – such as the Labrador-Newfoundland Sea, Baltic Sea, Indian Ocean, and Northeast U.S. shelf – have actually seen positive effects of warming, but this is small compensation for those ecoregions seeing huge losses; those ecoregions most negatively affected are the Sea of Japan, the North Sea, Iberian coastal waters, the Kuroshio Current, and the Celtic-Biscay Shelf. Many of those latter ecoregions are important to East Asia, which both rely heavily on seafood and are some of the fastest-growing human populations in the world (Free et al., 2019). This is all scary news, but more than being scary – it is real, and demands immediate action to be taken if humanity wants to continue to reap the benefits from the sea in the future as we have done for uncounted millennia. What can be done, if hope remains for anything to be done at all? Well, I do have some good news for you: the effects of climate change on fisheries can still be mitigated by improved management of these fisheries. By taking climate change adaptation into account to tackle both “productivity and range-shift challenges,” (i.e. by working to lower the MSY appropriately compared to related fish populations) gains of 60% in biomass, 34% in harvest, and 154% in global profit can be attained (Gaines et al., 2018). However, proactive change will have to come quickly, as the effects of climate change on the world’s oceans and its fish populations are already being seen, and nobody is quite sure how the 2020’s will pan out for both people and fish alike. Our ancient aquatic animal ancestors made landfall and the change to terrestrial living some hundreds of millions of years ago; humanity has depended upon the bounties of the sea for some tens of thousands of years. In this context, humanity has lived and died by the oceans; it is quite clear now that if we don’t adapt to the changing ocean, we will slowly, but surely, die. The time has come when we are cognizant of our effects – both direct and indirect, positive and negative – on the waters of the world, and we possess the ability to change our ways for the better. And we have no good reason not to do so, other than it being hard. Yes, changing the ways that we fish and changing other aspects of our lives which negatively impact our oceans is going to be hard. Harder than living in a chaotic world where we have no control and are assailed by our past mistakes, however, it will not be. Food and Agriculture Organization (FAO), “The state of world fisheries and aquaculture 2016” (Food and Agriculture Organization of the United Nations, 2016). 10/25/2018 Update: Our contest is closed! Winners will be notified by email before midnight 10/26. We will also be doing a reading (with permission from winners) on Wednesday, 10/31 (Halloween!) during campus lifetime in Humanities 2030. It’s October, so that means the weather gets colder, the drinks get warmer, and the days get shorter. Spend your time curled up inside writing the spookiest story you can think of! We’re having a Halloween Writing Contest so submit your scariest pieces to sbuwritingblog@gmail.com. 1st, 2nd, and 3rd place winners will have their pieces published on the website and receive prizes! We accept pieces of any length and topic, whether it be fiction or nonfiction. Suggested length is 2 pages, double spaced. 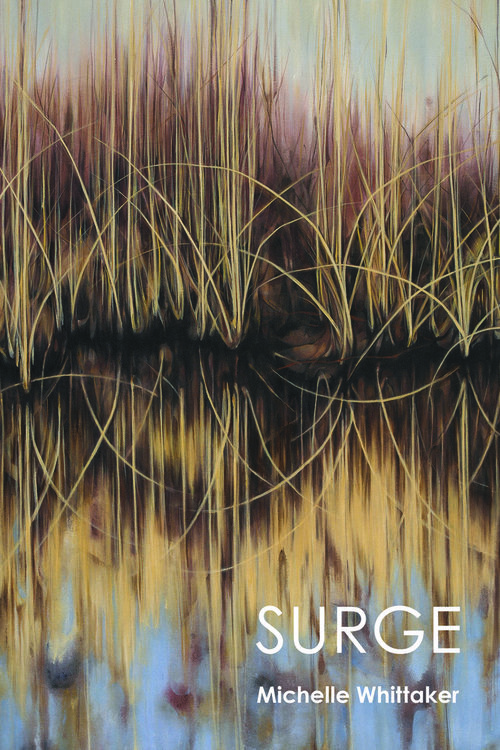 Submissions are due October 22, 2018 by midnight. Winners will be notified by October 28. 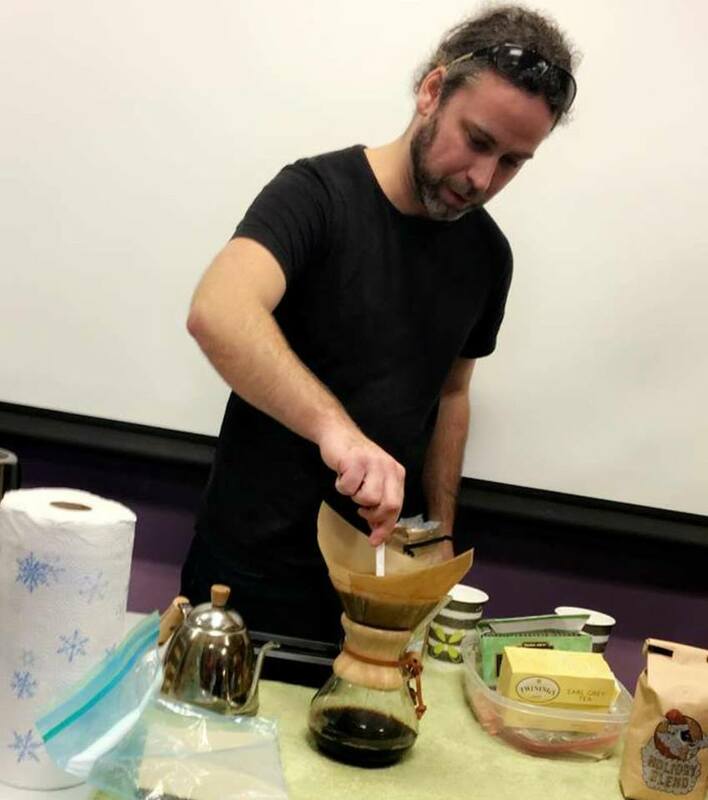 Teaching and learning comes in many forms – in this anecdote, Stony Brook University Writing and Rhetoric’s Joe Labriola explains the scholarly value of his end of semester fresh pour over coffee seminar! The end of the semester is a time of substantial stress – for both students and teachers alike. The former often find themselves immersed within panicked, self-insomnia-forced study sessions, while the latter face the alternate side of the finals madness spectrum: grading. We writing teachers in particular have our work cut out for us. A crude calculation will reveal that on average, one can expect to grade over 350 papers in little more than a two week period, easily totaling at least 2,000 pages. Now that’s no small beans. semester where I note the number coffee cups (or lack thereof) dotting my students’ desks during the first week, commenting, “Wait until finals.” Fast forward three paper drafts later, and voilà, the winter forest of greeny Starbucks Choka-mocha-lattes is in full bloom. In crafting my own last day of class activity, I thought about what lesson I really want my students to walk away with. While I could have chosen to focus on re-emphasizing any of the broader skill-sets of rhetorical analysis, audience awareness, modes of persuasion, etc., I realized that it is truly the desire to learn, the passion to do something well and effectively that lies at the heart of my teaching. If you can inspire somebody to want to learn, then you’ve helped them to strive forever beyond merely memorizing the obvious material lessons. 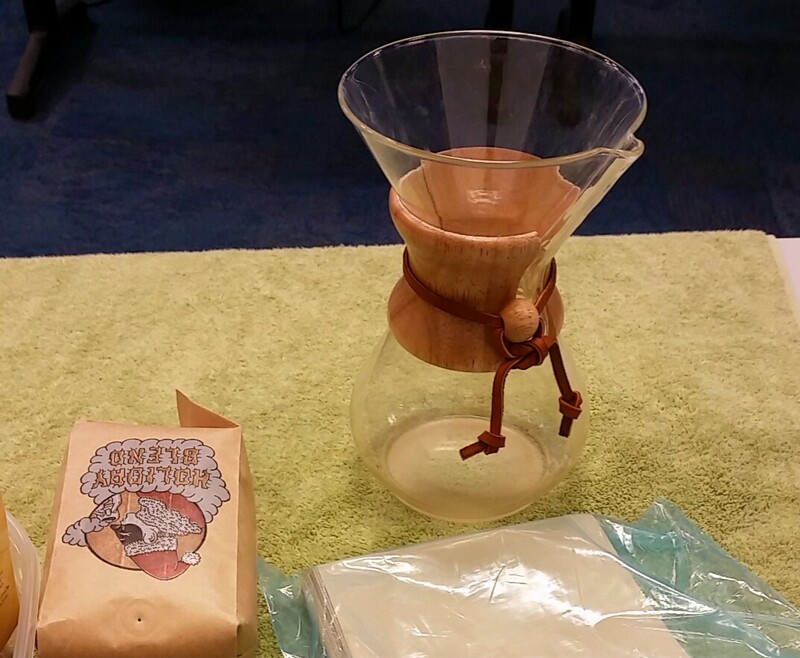 A standard medium sized Chemex Coffeemaker along with cone filters and freshly brewed whole beans. This sentiment is echoed by many others, who come to similar conclusions as we walk through the purpose and process of how to reach such a delicious final product. I won’t go through each step here now (but click here to check out a video tutorial). Amazingly, having internalized the process myself, I forgot just how much there is to discuss; what I thought would be a five or ten minute talk evolved into a 45 minute hands on lecture. But the short of it is that via the steps we walk through – from grinding to temperature/weight calculations of water and beans, to other points of chemistry – students are able to see up close how attention to detail can redefine a common commodity in life that you may have thought you knew everything there was to know about. And herein lies is the last day of class lesson. Always keep learning – even about what you already “know”. You might like how it tastes. So how do you teach the last day of class? Do you have any strange/unique/delicious traditions? Please share in the comments below! Kim, Ji Hae. “Re: Portfolio.” Received by Joe Labriola, 12 Dec. 2017. This fear is not something I considered when I first had my students read aloud as part of in-class workshops. It was simply how we edited—they’d bring in drafts of their essays and read from them. It had nothing to do with any plan to teach public speaking. But, in fact, this is usually the activity my students dread most, at least initially. Students typically have a much bigger problem reading out loud than editing or writing. They grumble, they give long preambles before they begin, and they ask if they can go last. But maybe that’s enough. The lesson illustrated above is related to a theory I’ve read a great deal about lately—exposure and response prevention therapy, a technique for alleviating anxiety that involves doing the anxiety-provoking task in a safe environment. The ‘exposure’ is the anxious feeling they get when they read aloud. The ‘response prevention’ comes from not avoiding speaking. You actually have to feel the anxiety and read anyway. In other words, if my students have become more confident speakers, it wasn’t through my specific instruction so much as that they exposed their fears as being false. Of late, I’ve been assigning extra credit presentations as part of the class, which allows students to get even more exposure. That’s the key; with exposure and response prevention, instead of avoiding the activity, you actually look for as many chances as possible to engage with it. Teachers can relate. Some of us got into teaching feeling perhaps a bit uncomfortable speaking in front of a group. Some maybe were more comfortable. Either way, you had no choice but to speak in front of the class. The more you did so the easier it became. At the core of my approach is giving students the same opportunity. Sometimes students do still struggle with speaking, or they’ll refuse to speak in the first place. One student recently emailed me to say that she was simply too afraid to read in class—just the thought made her stomach hurt. Despite my encouragement, the student continued to refuse. She wasn’t going to succeed in public speaking because she was avoiding it. Instead of exposing the fear as false, this avoidance only made things worse. She kept on putting off reading and only became more and more anxious as a result. I wasn’t sure what to do about this avoidance until I read Stopping The Noise In Your Head by Reid Wilson, a psychiatrist specializing in the treatment of anxiety disorders. In his book, Wilson describes how people tend to avoid feared situations, much like what my students face, and suggests an unusual but powerful approach, a paradoxical approach. Wilson notes that when most of us are taking on a difficult task, such as speaking in public, we have a lot of anxiety. But what if we alter our negative mindset? To illustrate this alternative, Wilson describes the first time he was ever asked to lead group therapy as a graduate student, a very anxiety-inducing activity. But then something changed: “[O]ur professor, Dr. John Gladfelter, introduced the task. ‘Here’s the assignment: I want you to be the worst group therapist you can be. Just be as bad, as incompetent as you can possibly manage’” (189). It was a startling change in mindset. Wilson describes realizing the method to the madness: “we relaxed by receiving a reprieve from having to do everything perfectly. As we took our attention off our fear of failing, we stopped focusing inward. We had more outward attention available” (189). This story resonated with me because in recent years I’ve been experimenting with many paradoxical techniques in my classes. Specifically, I’ve been encouraging students to make as many mistakes as possible. The goal—to make them feel more comfortable reading from their drafts in class. After reading Wilson’s book, I realized I could apply this approach to speaking skills as well. It’s an approach that addresses the true problem students face, not any particular deficit in speaking skills, but instead the nervous chatter streaming through their brains. “What if I mess up?” we often ask ourselves. 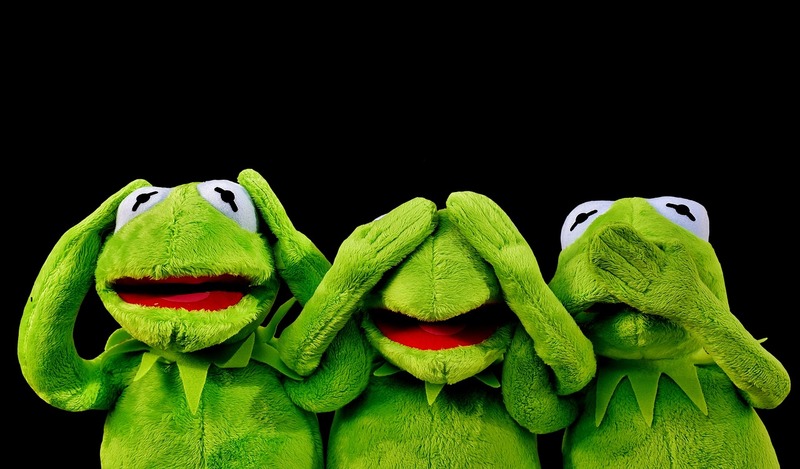 “What if I’m awkward?” Usually the conclusion is extreme: “I’d be embarrassed, humiliated.” Of course, this self-talk only makes us more awkward and leads to more self-consciousness—the exact result you feared in the first place. Now, when my students express anxiety about reading aloud (or writing), I try to playfully defuse any negative self-talk. “Make as many mistakes as possible!” I tell them. “Try to be as awkward as possible!” Sometimes, I go even further: “Can you make the worst presentation ever?” There’s lots of room for improvisation and creativity with this paradoxical approach. The reason why this approach helps to defuse the anxiety is simple. If we tell ourselves, “This presentation must be flawless,” we, not to mention our audience, are likely to leave less than satisfied. If we tell ourselves, “I want to make a presentation full of mistakes, and I want to feel anxious the whole way through,” we’re actually less likely to be anxious. Students tend to enjoy this new, exciting attitude. It helps them relax and stay in the moment. It keeps them focused on what they’re saying—and it’s more fun! Seinfeld, Jerry. 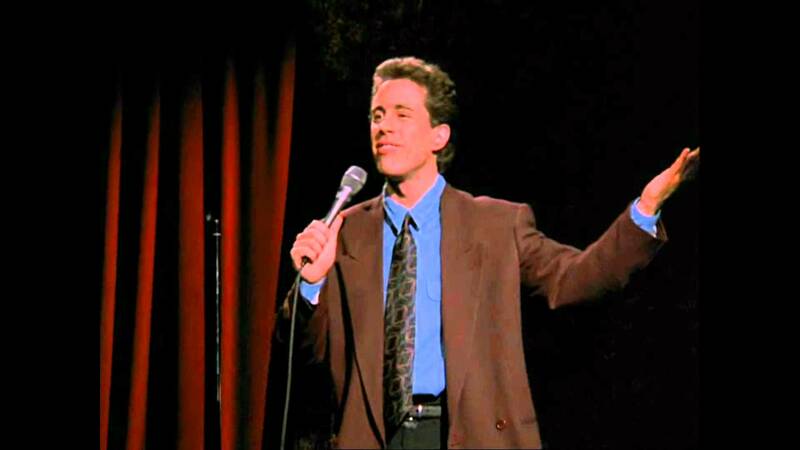 “Jerry Seinfeld: I’m Telling You For The Last Time”. HBO, 1998. And Worry”. Health Communications Inc., 2016. 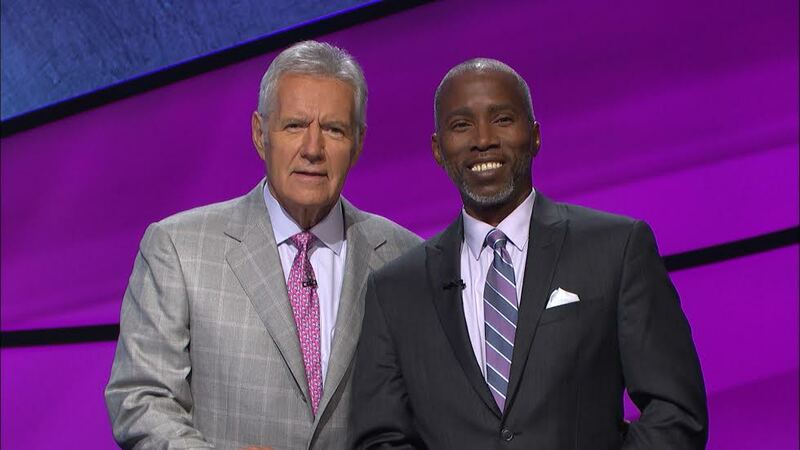 PWR’s In the Spotlight – Wilbur Farley on JEOPARDY! Check out Stony Brook University PWR’s very own Wilbur Farley on JEOPARDY! on November 21, 2017!